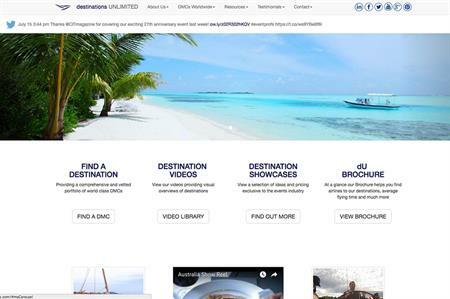 Destinations Unlimited has launched a new free smartphone app to allow event planners to access assistance researching destination management companies (DMCs) away from their desks. The business, which represents 42 DMCs, has created an app that mimics its website, offering clients easy mobile access to information including its destination showcases, brochure and approximate costs for incentives. Managing partner Nikki Mitchell said Destinations Unlimited was following the lead of some of its DMCs, which already have apps, and that its app would minimise costly and time-consuming research for clients. "People seem to be far more tech-savvy nowadays and therefore need access on-demand to up-to-the-minute information that is readily available at their fingertips," she said.